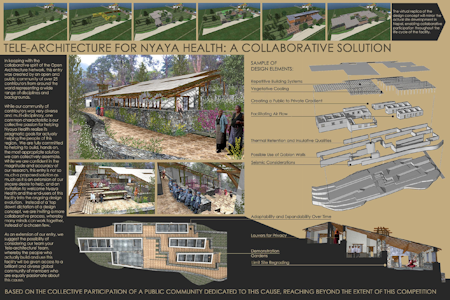 Ryan Schultz began to contemplate the application of crowd sourcing to architectural design after reading “Wisdom of Crowds,” by James Surowiecki and “Wikinomics” by Don Tapscott and Anthony Williams. 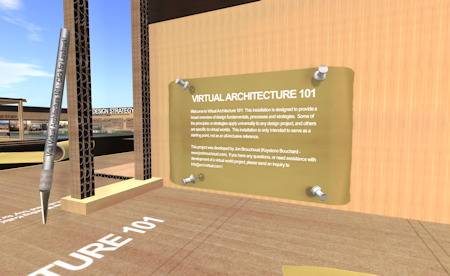 And when Schultz discovered Second Life (SL), a 3-D virtual world accessed through the Internet, he realized that the actual implementation of this open source approach to architecture could become a real possibility. About this same time, Schultz came across Jon Brouchoud, an architect from Wisconsin, who was using Second Life to prototype and exhibit his home designs for clients. The two began corresponding through e-mails and discussing the design of a meeting place for the architectural meetings that were held in SL.